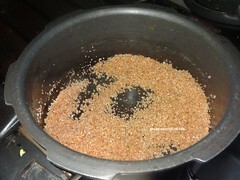 I like Jaggery based sweets. 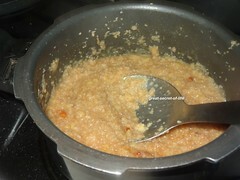 My husband likes Kesari. 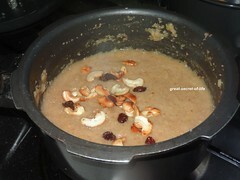 I have tasted this Rava pongal at my friend place. I liked it. I was pretty sure it will go well with my family. 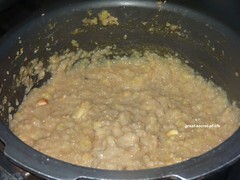 So yes yes you are right I asked this recipe from my friends and it is very similar to Wheat Rava jaggery kesari. 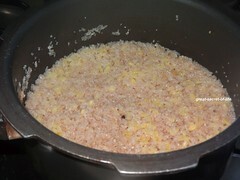 With the addition of moong dal the taste of this pongal is even better. Do try out .. you can even serve this as dessert. 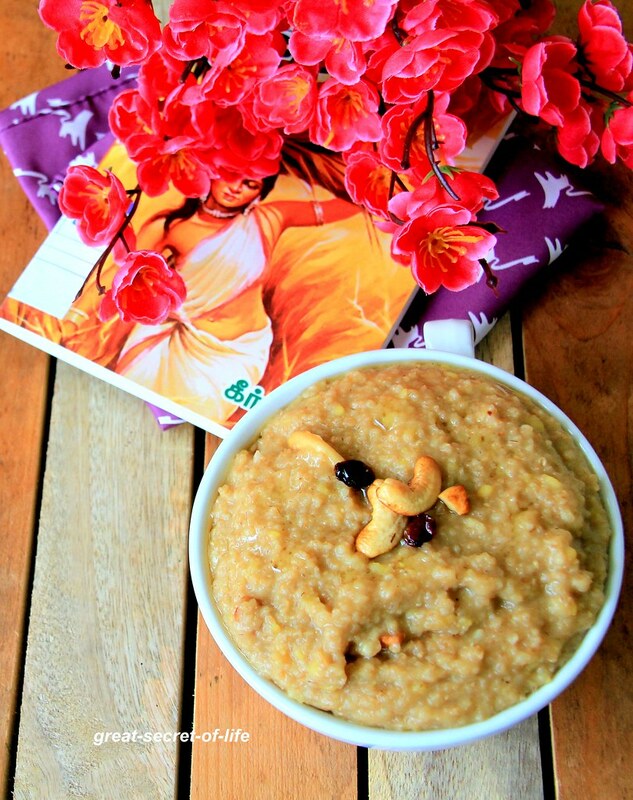 Happy Varalakshmi Pooja for you! 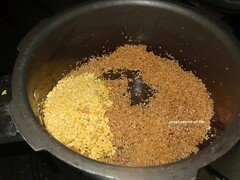 Wash and soak Moong dal for 30 min. Keep it aside. 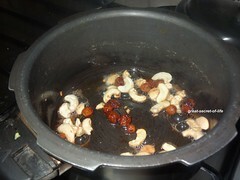 Add wheat rava and fry till nice aroma released. 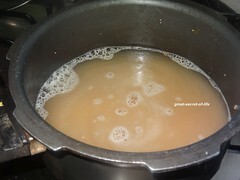 Add pinch of salt, Soaked Dal and Water and cook it. 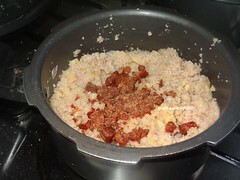 I have pressure cooked it till 4 whistle. 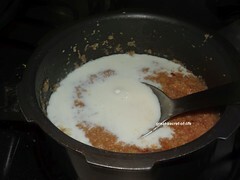 When it is ok to open open it and add jaggery mix well. 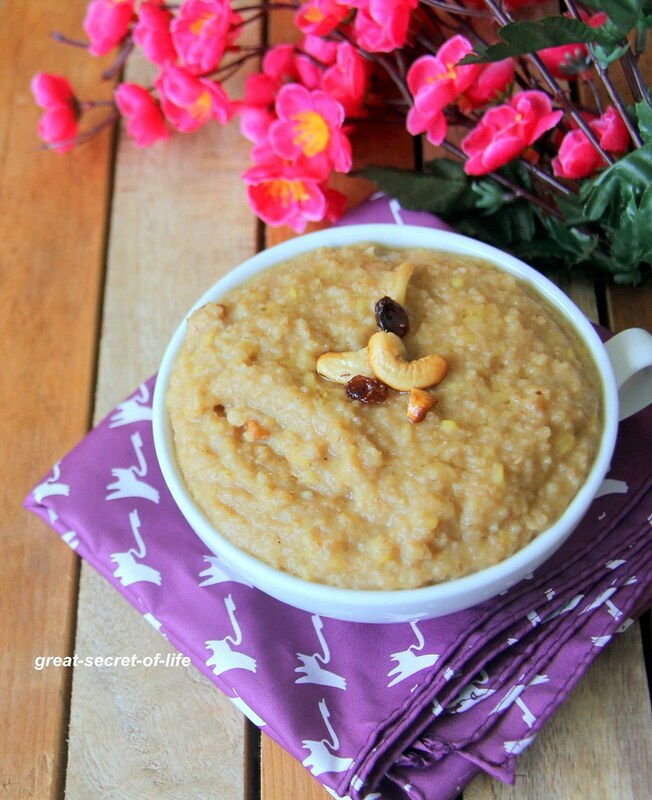 pleasant looking pictures..loved this version of pongal with rava.. I wish to try this one at home.. looks nice.. Wish to try this one.. looks nice.. 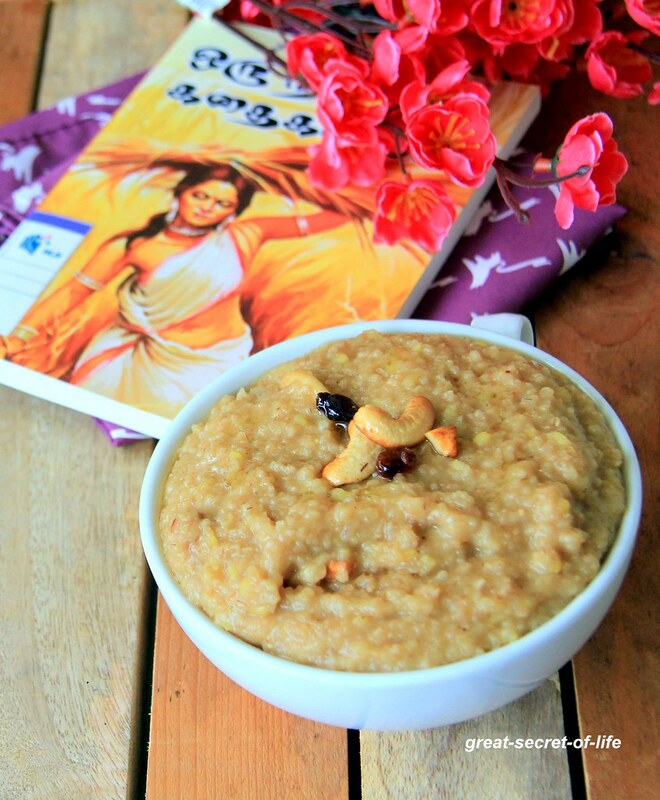 This comes out very good, healthy version, I make with the slightly bigger rava..
Sweet rava pongal looks delicious.